So, I read 18 and added 24 which isn't exactly moving in the right direction. January will be filled with reading February releases. I started with 22 February releases and have already read 4. I'm half way through The Greed but likely won't finish it today. Things look more doable for March through June but I know I'll be adding books since many publishers don't have as much lead time for filling my calendar as I would like. I recently filled out the spreadsheet for the Spring Macmillan YA titles which will be arriving sometime. There will probably be some that are DNFs in the bunch because Macmillan has taken to bundling their ARCs. There is usually at least one in the bunch I get that I have no desire to read. I don't have any overdue ARCs. 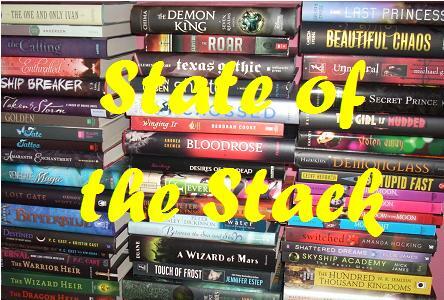 I read a lot each month and read my review copies before I pull books off my TBR mountain. No matter how much I want to read my new and shiny books, the review books come first. You really get a lot of review copies :D All the best! I joined Evelina's meme too :) Happy reading!